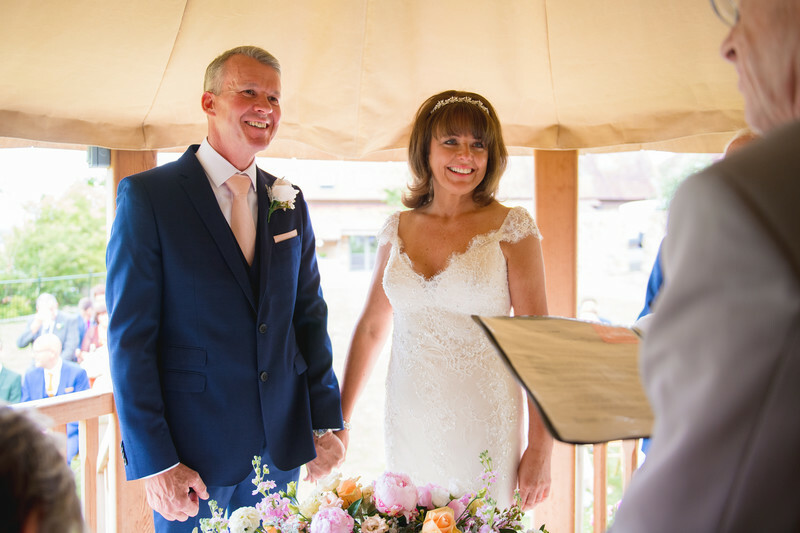 Debbie and Keith got married at Deer Park Hall in Worcestershire. Their wedding was the first outdoor ceremony that I had photographed, having spend the last 8 or so years taking photos there regularly in the panelled hall which is where the indoor ceremonies are held. The day they picked for their wedding was gorgeous, it was warm and we had bright sunlight all day. After their wedding ceremony, and once the group photos had been completed, we took 20 minutes out to take some photos of the bride and groom on their own. Deer Park has so many spots for wedding pictures, it's an absolute goldmine and one of the many, many reasons I love working at Deer Park Hall. 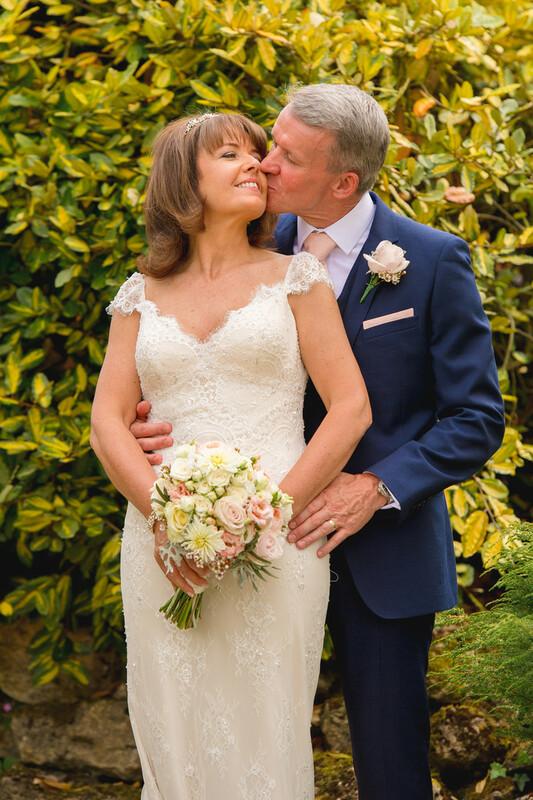 The main photo to this article, was taken in a small space on a couple of stone steps beside a steam that runs through and under the wedding venue. I've taken this photo with a long telephoto lens in order to really focus in on the affection shown by the bride and groom. Wider images of this scene also work really well, but shooting with a long lens gives the area a totally different feel to a wide angle shot. I have been a recommended supplier for Deer Park Hall for the last 5 years.